The Lone Chameleon is a charming puzzle game with an intriguing story and music that will ease players into a false sense of tranquility as the difficulty of the game increases. 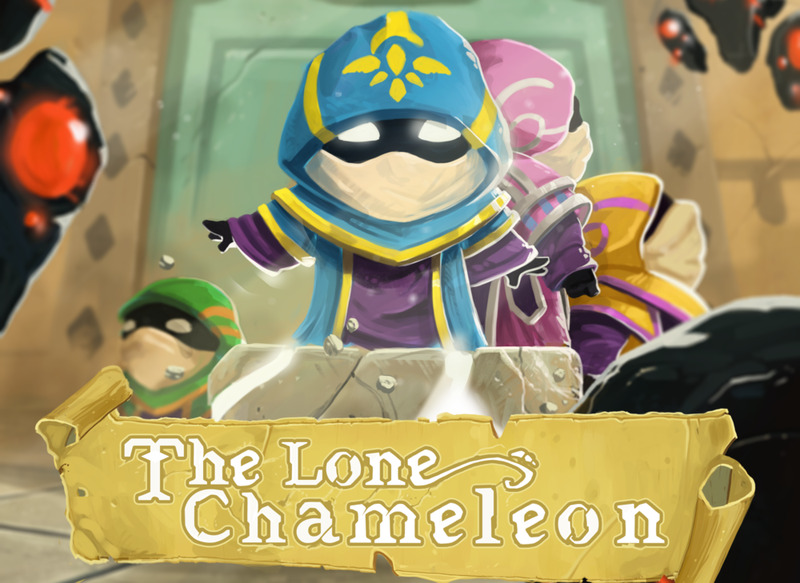 The Lone Chameleon is a 2D platformer puzzle-game developed by Spidove. The player must help four heroes as they struggle to escape “a facility controlled by a mysterious figure.” While the story is simple, it’s engaging enough that those who desire a little more depth to their puzzle-games will find it here. The set-up is quick in the beginning when our heroes are first introduced, but the game isn’t about to give the mystery away. To uncover the secrets and discover what’s happened to the heroes, players must continue to solve each puzzle, even when it is difficult. In this way, the story, though not necessary for the game’s enjoyability, helps in moving players forward. The game gives the player control of four different characters, each with their own unique abilities. Each puzzle focuses heavily on teamwork, so for players to succeed, they must understand each hero’s mechanics. Certain characters have the ability to jump, activate pillars, or avoid paralyzing enemy rays, and depending on the puzzle, players will need at least one if not all of these abilities to help characters escape the room. The puzzles vary in difficulty from easy to hard. Players can identify a puzzle’s difficulty based on the specific starred rating below each level. Once certain levels are unlocked, players can choose to replay or jump forward to more difficult levels if they wish. While the puzzles themselves are complex and challenging, the mechanics of the game are simple enough. The game utilizes WASD and adds other keys as players unlock new abilities. The explanations for certain character attributes can be a little confusing at first, as images are used to in place of dialogue to explain the mechanics. After a few failed attempts of figuring out more complicated mechanics, the game is fun, and the only complexities are the puzzles. While the rooms that players are tasked to complete are similar in style, the setup of each puzzle is unique, and the difficulty levels are staggered so players won’t get worn out as they go. Because the game is often unforgiving of player mistakes—some misjudgments in certain levels cannot be undone without starting the level over—it’s nice to have a breather between complicated puzzles. Even as puzzles become difficult, however, the background music is a soft, calming melody that helps ease some of the player’s frustrations. All in all, The Lone Chameleon is a challenging but charming puzzle-game. Users who want a story can find a small one here, and those who don’t have dozens of engaging puzzles to sift through. In a market that’s oversaturated with puzzle games, it can be difficult to find the hidden gems. Instead of digging through disappointment, checkout The Lone Chameleon.